Obesity is becoming an epidemic in America. This is especially true of our teenagers, who are leading a more sedentary life than every before. However, it doesn’t have to be this way. We must teach our kids to live healthy lifestyles. It is very important that they lead an active lifestyle and fuel their bodies with healthy foods. Below is a list of healthy snacks for teenagers. Smoothie’s are an excellent snack for children of all ages. Their easy to make and their packed with vitamins and nutrients to keep you energized. This delightful smoothie is a healthy snack for any time of day. Simply toss the ingredients into a blender and blend until you have reached the desired consistency. In minutes you will have created a taste treat that is filled with antioxidants to help eliminate free radicals throughout the body and protein to help build strong muscles. This refreshing treat is quick and easy to create. First you will need to cut your fruit up into bite-size pieces. Then you simply throw it into a blender. Pour in liquid last and blend until you have reached the desired consistency. In minutes you will have created a tasty treat that is filled with Vitamin A to help support the immune system and Vitamin C to help eliminate free radicals in the body. The grapes are also wonderful for cleansing the liver and aiding kidney function. Dark grapes are also high in iron, making them good blood builders. 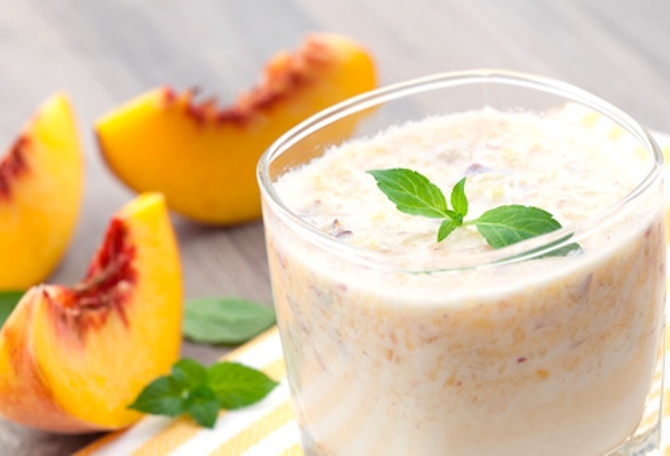 If you’re looking for a healthy snack for your teenager that will give them instant energy and a blast of powerful nutrients, the Peach Beach Smoothie is a perfect fit. If you are looking for a healthy snack while you’re on the go, homemade trail mix may be the perfect answer. You can premake sacks of trail mix at home and pack them in the car or even at work. Simply combine almonds, raisins, dried fruit combinations, and a few chocolate chips and you instantly have a healthy snack.